This is my second time dining at Bistro Boudin and first time dining in their private dining room. Recently we had a private event there. 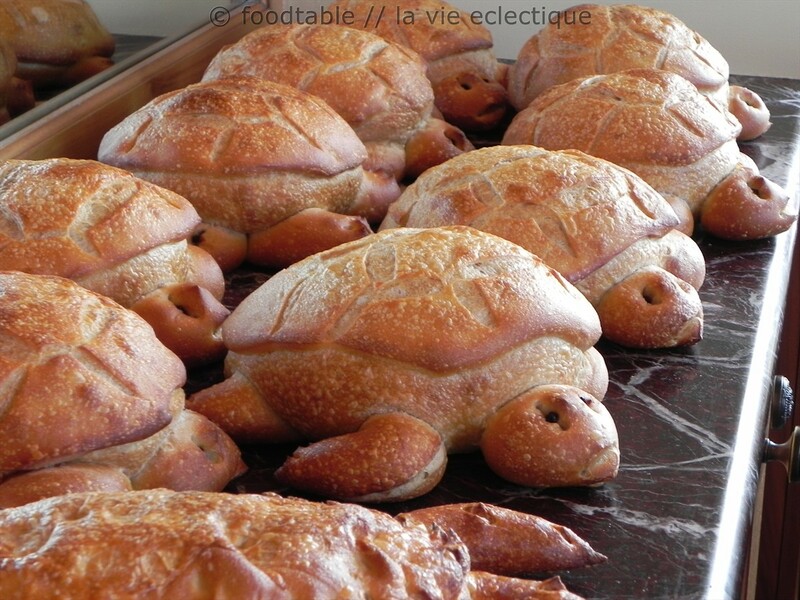 A lot of people know about Boudin Bakery and their famous sourdough bread, but did you also know that they have a restaurant and a bread museum? 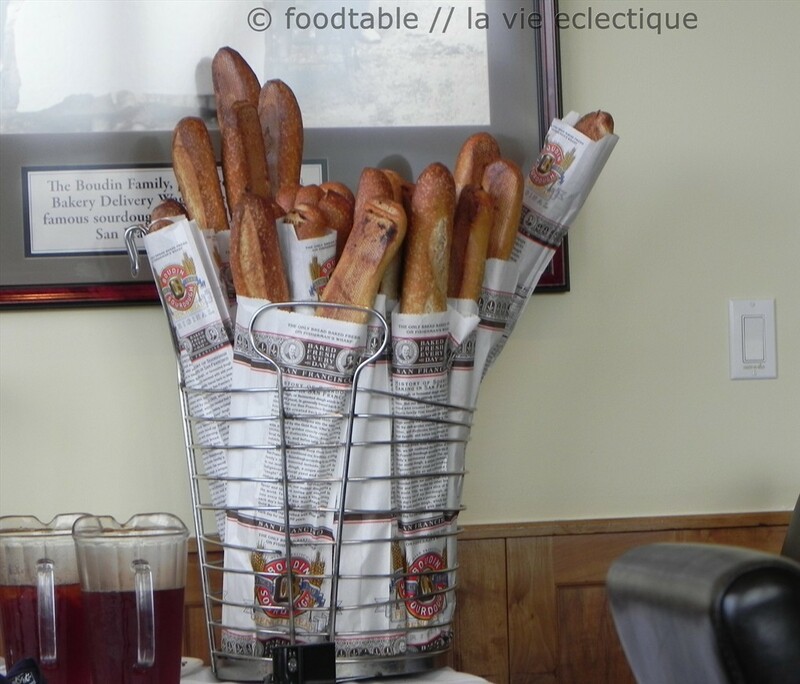 Boudin have a bread museum and a restaurant upstairs to their Fisherman’s Wharf’s bakery. To read more about my last dining experience at the downstairs’ bakery or Boudin in general, see this post and this post. 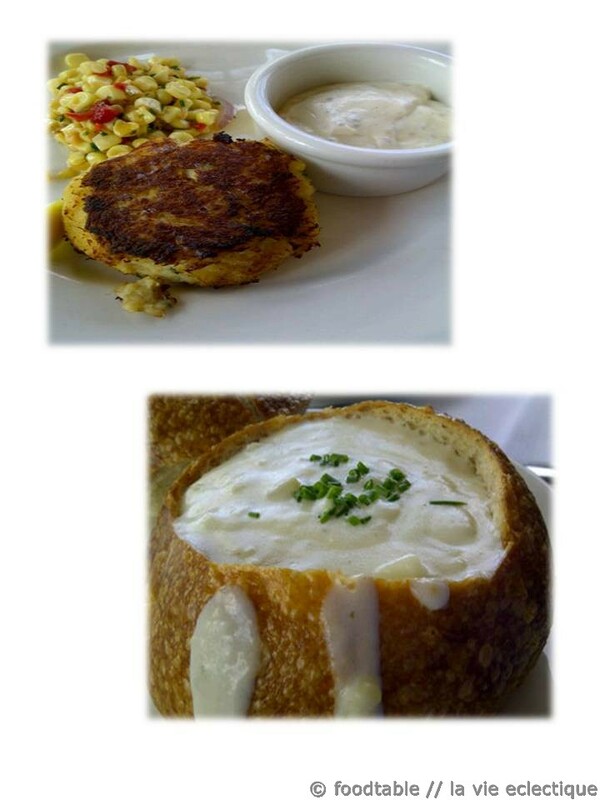 For our menu, we had a choice of the crab cake or chowder. I took pictures of both. The crab cake was good but isn’t the best I have ever had. My coworker got the bread bowl and even though he liked it, he didn’t eat the bread bowl. 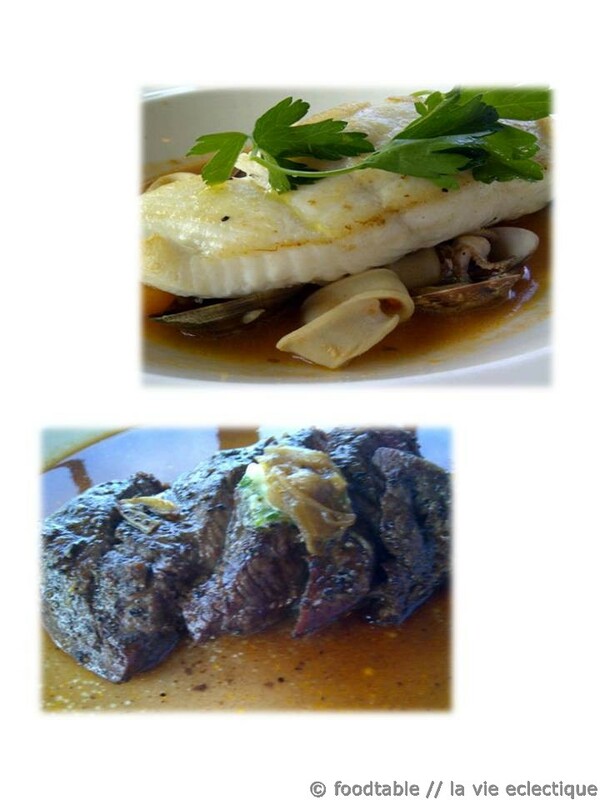 For main entrée, we had a choice of Pan Roasted Halibut or Bavette of Beef. I took pictures of both and opted for the Halibut. For vegetarians, they have two choices. One of them being a mushroom risotto dish which looked very delicious, but since we only had one person ordering vegetarian that day and I sat far away from her, I didn’t take a picture of that dish. I forgot about the other choice. Sorry. Halibut was delicious and flaky and sits on top of some clams, calamari, lemon balm, and fennel. Pretty to look at, too. My coworker had the beef bavette which comes with onion confit and parsley garlic butter, and he didn’t like it. His complaint? Only a few pieces of beef and nothing else on his dish. Granted, it has onions, but it’s really little. Not very satisfying or pretty according to him. Suggestion from him would be to add some other ingredients on the side and pretty the dish up a bit. 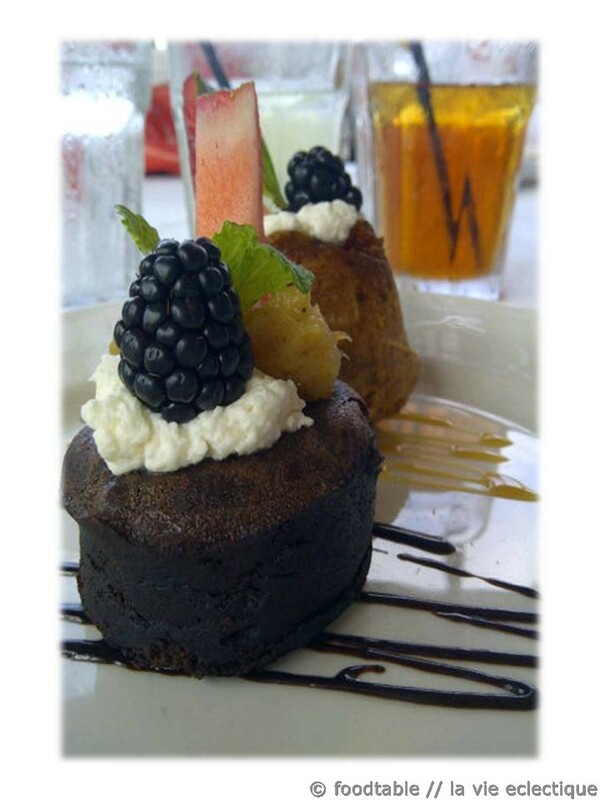 For dessert, we got the sourdough bread pudding with vanilla bean ice cream and Valrhona Chocolate Cake with Carmelized Banana Confit. YUM!!! After lunch was over. We had a surprise for everyone. Not shown here are the Crab and Cable Car. I may post about the crab that I took home in a later post just to show you what it looks like. Okay. Here’s the nitty gritty on our private dining experience. SERVICE We had about 2 – 3 waiters circling around and getting us drinks and such. Pretty good service. VIEW A bunch of us had to pick a place and this is what sold us on hosting the event there in the first place — the VIEW. 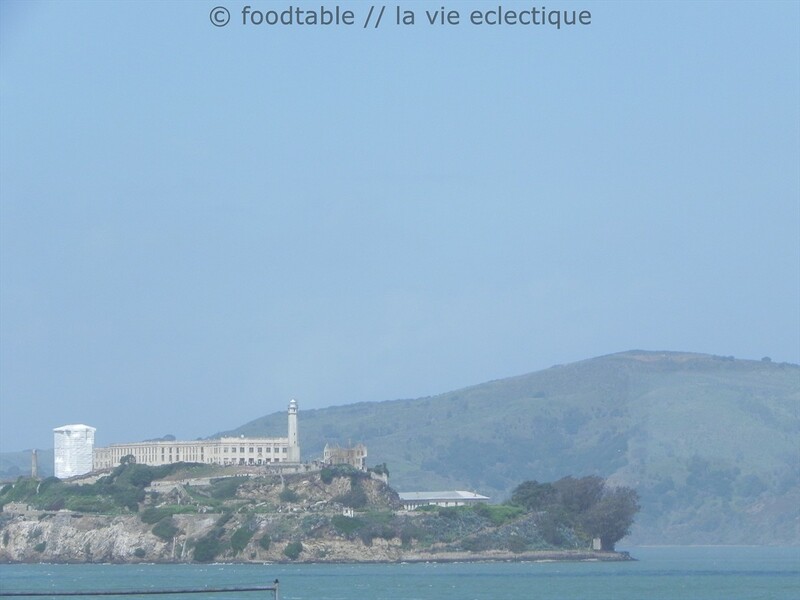 Check out the view of Alcatraz (I zoomed this out 20x). The more immediate view (without zoom) will be the parking lot below, the wharf’s other food stalls, red & white fleet, and a much smaller view of the Alcatraz. BONUS Anyone that dines at the Bistro gains free entrance to the Bakery Museum where you can learn about Boudin’s history in San Francisco and where guests can also see first-hand how sourdough breads are made. This is the interesting part if you are interested in bread, so even if you don’t eat upstairs, you should still try to check out their museum. 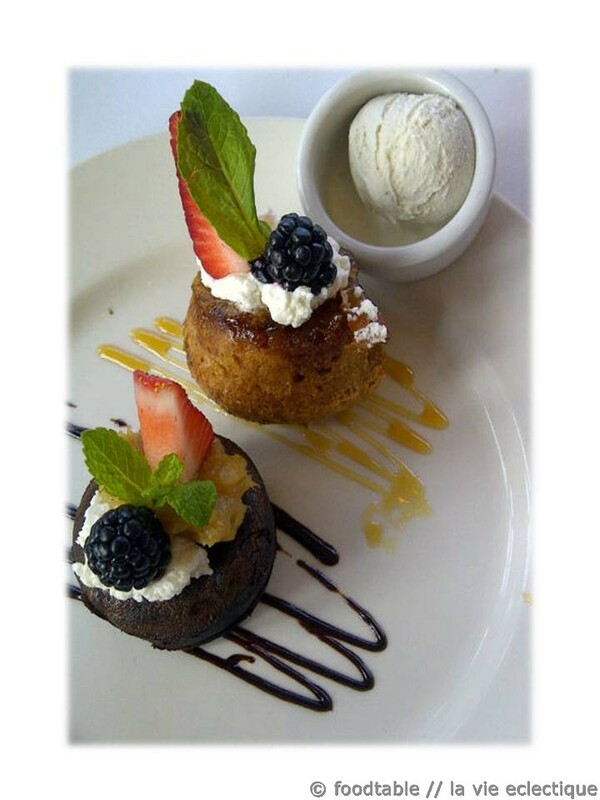 Glad the dessert was the highlight my friend – great review! 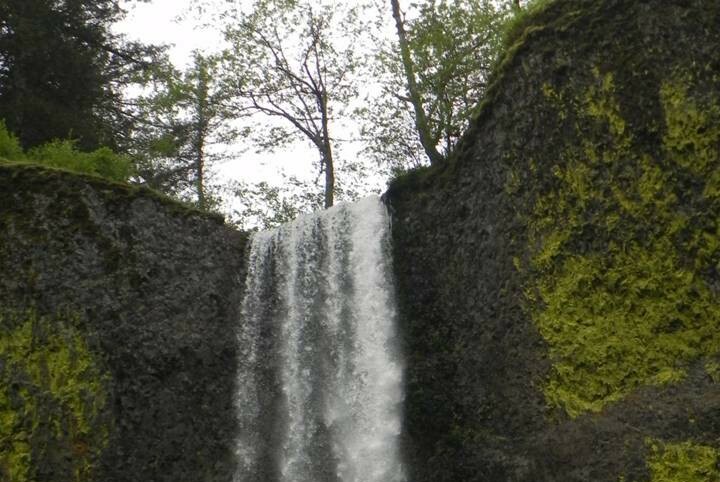 Wow – that looks like a place to go! The turtles are neat and nice photo of Alacatraz. 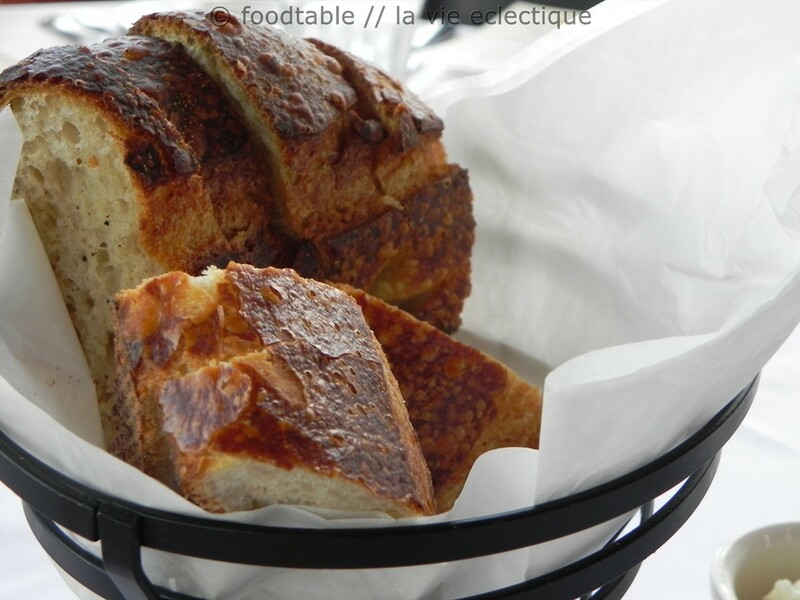 I just gained 5 pounds looking at the photos of the bread:) Thanks for sharing your review on this place! Have a Great Day! I should have put a warning in the begining. C-A-R-B-S!!! Lol. Thanks for reading Renee. Cheers!